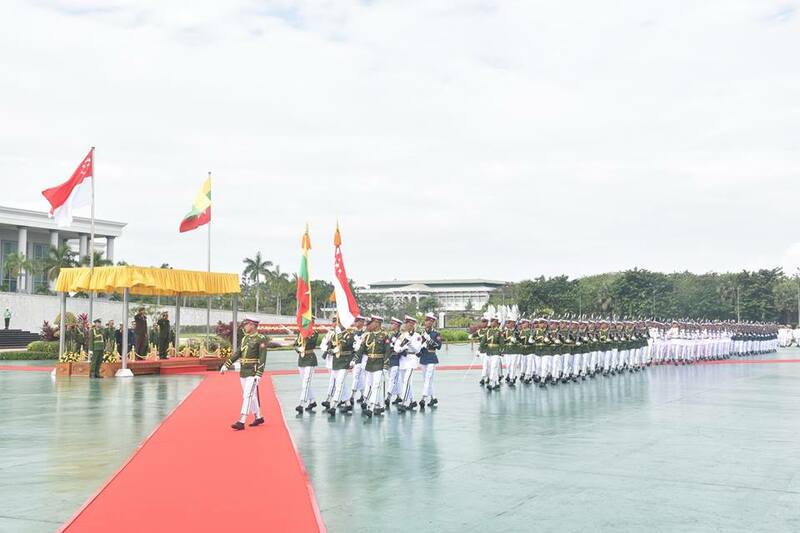 Commander-in-Chief of Defence Services Senior General Min Aung Hlaing welcomed Lt. Gen. Perry Lim, the Chief of Defence Force of the Singaporean Armed Forces, with a Guard of Honour on the lawn of Zeyathiri Beikman, here, this afternoon. 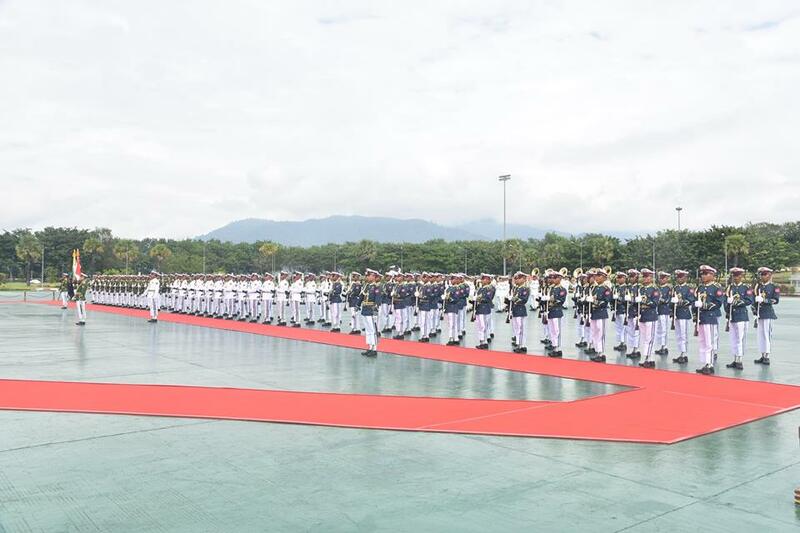 First, the Senior General and the Chief of Defence Force of the Singaporean Armed Forces took the salute of the Guard of Honour and inspected it. The Senior General and the Chief of Defence Force of the Singapore Armed Forces introduced each other to the senior military officers in attendance. Also present on the occasion together with the Senior General were Deputy Commander-in-Chief of Defence Services Commander-in-Chief (Army) Vice-Senior General Soe Win, Chief of the General Staff (Army, Navy and Air) General Mya Tun Oo, Commander-in-Chief (Navy) Admiral Tin Aung San, Commander-in-Chief (Air) General Maung Maung Kyaw and senior military officers from the Office of the Commander-in-Chief (Army). The Singaporean Chief of Defence Force was accompanied by Brig-Gen Chua Boon Keat, the Commandant of the Singaporean Armed Forces Training Institute and senior military officers and Singaporean Military Attaché to Myanmar Col. Edmund Tan. The Singaporean Chief of Defence Force signed the visitors’ book and met the Senior General at the parlour. 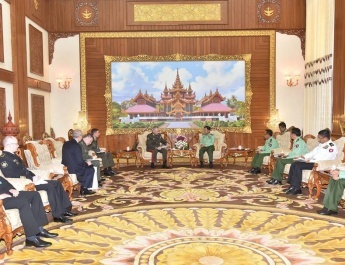 At the call, the Senior General said Myanmar and Singapore had long been friendly countries. Successive leaders of both countries had amity and friendly relations. Singapore always stood by Myanmar as a good friend for every change. The goodwill tour would further cement amity between the two countries and the armed forces. 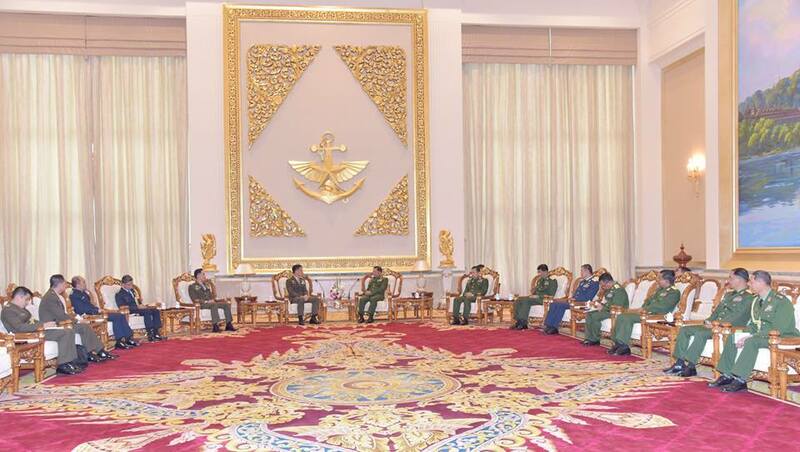 Myanmar Tatmadaw would continue retaining existing amity. Whenever he met with the Singaporean leaders, they suggested him Myanmar should shift to the democracy system in conformity with Myanmar citizens. As being an ASEAN member country, Myanmar was fully participating in the ASEAN’s activities. Thanks to cooperation among ASEAN countries including Myanmar, the number of piracies in the Strait of Malacca and terrorisms had significantly declined beyond 2011. Continued cooperation should be made for it. Bengali terrorists. Hence, Myanmar will cooperate with friendly countries for preventing danger of terrorists. As some countries are placing emphasis to prevent similar terror attacks, it needs to make more cooperation. Those Bengalis were brought from Bengal region when Myanmar was under colonial rule. Some call them Rohingyas. However, they are Bengalis who came from Bengal region to reside in Myanmar. So, they must be called Bengalis as they are not ethnics of Myanmar. A plan is underway to accept Bengalis who left Myanmar for Bangladesh due to various reasons after they would be scrutinized under the law. 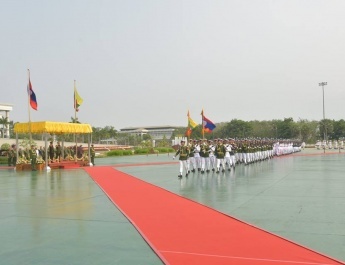 The Singaporean Chief of Defence Force said that Myanmar and Singaporean armed forces have been in warm relations as both countries are members of ASEAN. Singaporean Armed Forces understands the endeavours of Myanmar Tatmadaw for protecting the citizens with regard to the Rakhine State issue. Singapore is ready to provide necessary assistance to Myanmar. As Singapore believes Myanmar Tatmadaw is sure to successfully solve such issue, pressure will not be put on Myanmar. It needs to solve the problems of terror attacks in time. And, it is necessary to take adequate time for implementing political reform of Myanmar in order to practise the system in conformity with it. 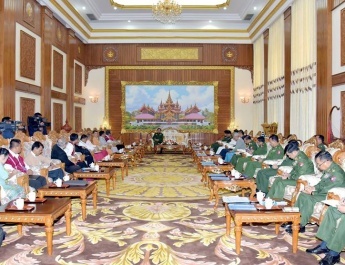 He expressed his hope for ensuring peace in Myanmar and the region. 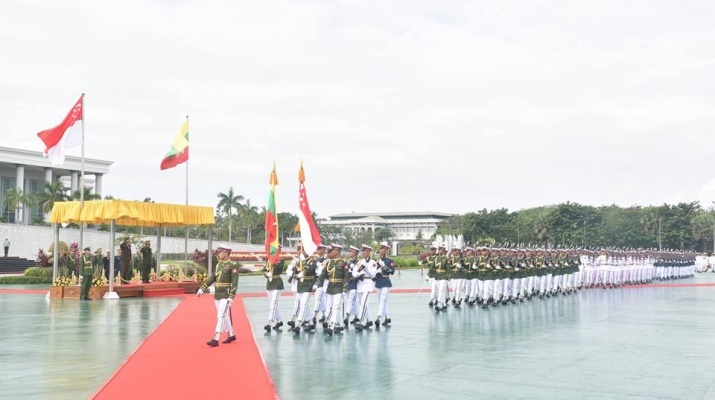 Next, they exchanged views on exchange of goodwill visits between the two armed forces of the two countries, sending of officer trainees from Myanmar Tatmadaw to Singapore, and promotion of cooperation between the two armed forces. 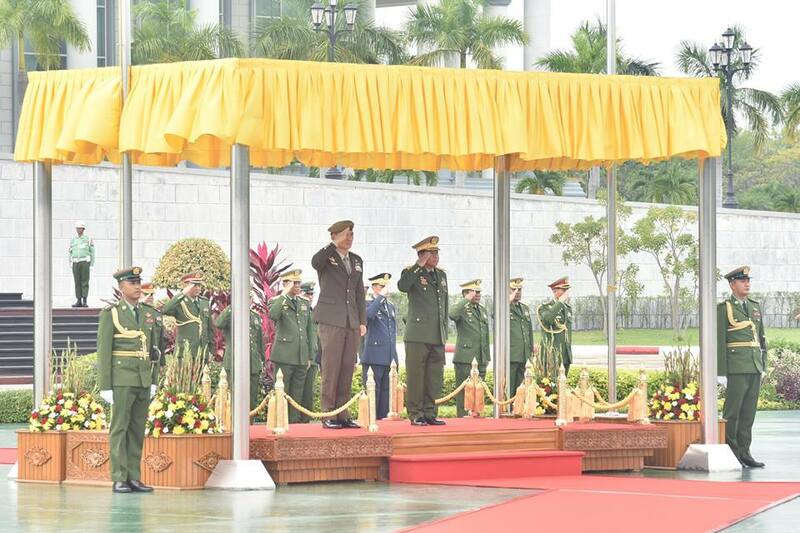 After the meeting, the Senior General and the Singaporean Chief of Defence Force exchanged commemorative gifts.